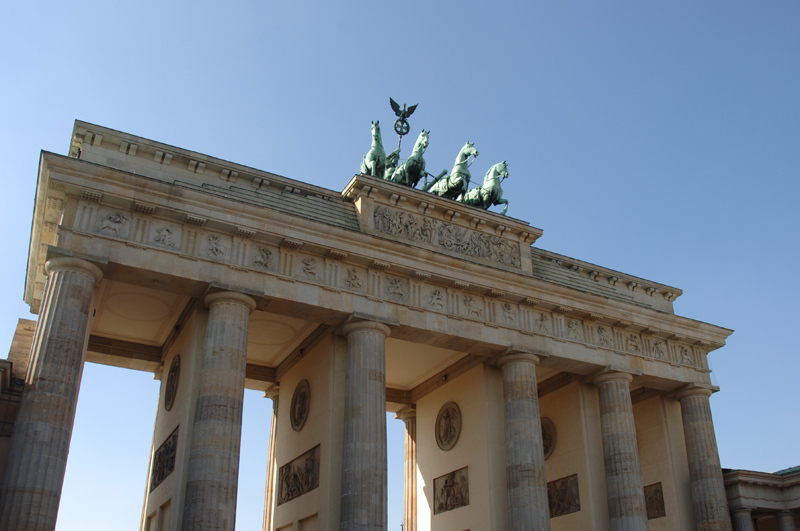 At the end of 17th of June Avenue, just before arriving at the Brandenburg Gate, stands the Soviet Monument. As the name suggests it was erected by the Soviet government in honour of the soldiers who died during the war. The structure was built in 1945 with material gathered from the ruins of Hitler’s chancery after it was bombed. It takes the form of a Greek temple and in its upper section there is a statue of a Soviet soldier. Behind the monument you can visit a museum showing photos of it being constructed. Beneath the statue of the soldier there is a Cyrillic inscription which translates as “Eternal glory to the heroes who fell in the war against fascist Germany, fighting for the independence of the Soviet Union”. The two Russian war tanks which flank the monument were the first to enter the city in 1945. This is not the only monument dedicated to Soviet soldiers, the commemorative central monument is located in Treptower Park, to the southeast of Berlin.